Dantherm Group has a large and varied range of mobile dehumidifiers to suit many drying application whatever size or demand. The groups professional restoration series consists of Dantherm, Calorex, Aerial and Master products, all providing solutions for different types of water damage caused by flooding and the after effects from fire-fighting. Our Aerial AD range of refrigerant dehumidifiers are also designed for flood drying and water damage and include the energy-efficient Blue-Dry technology. 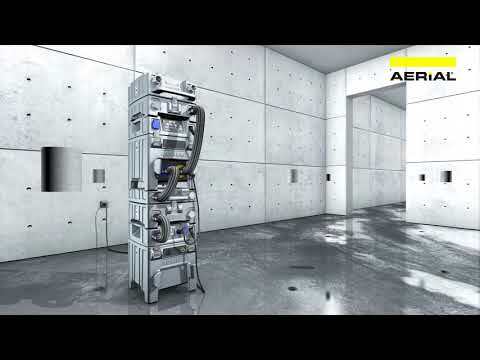 The Aerial AERCUBE series is our professional water damage drying system. This outstanding suction and pressure drying system uses innovative, modular, stackable components to create the exact drying system required for the job in hand. Offering multiple configurations these units are available in your corporate colours and brand necessities. The system comprises of side channel blowers, multi-stage adjustable turbines, water separators, filter systems, sound absorbers with a new edition of the AD 40 and AD 740 dehumidifiers, all of which are widely used in the water damage restoration industry. The Aerial units are extremely popular due to their intelligent eDRY® electronic systems, and can be combined and stacked safely with all other products in the AERCUBE series with multiple choices of grip and carry options. The efficient and stylish Dantherm CDT dehumidifiers offer quick and easy control for both damage service companies and the building industry. The CDT units are renowned for their user-friendliness, great digital control and light yet robust design. They are fast and energy efficient and offer precise digital settings, service information, easy fault-finding and exact specification of hour and energy consumption as well as readings of temperature and relative humidity. On top of this they are designed for optimal transport and handling. Calorex Porta-Dry dehumidifiers are specifically designed for mobile dehumidification and are built to withstand the rigours of construction sites and hire-related wear and tear. They are fully contained units which incorporate a fan and a totally CFC-free refrigeration circuit. These have been a main stay product for many UK and global hire companies over the years for an effective solution to drying out buildings. 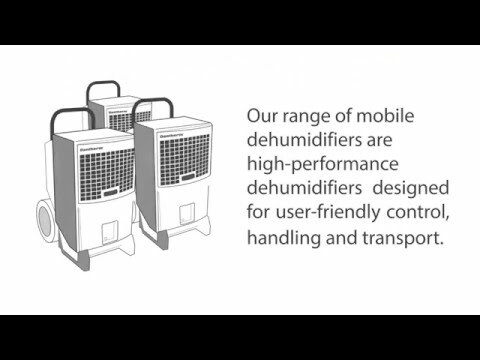 Master dehumidifiers can be used for rental and general purpose drying in commercial and industrial applications. These units come in a variety of styles and sizes and are a great addition to our water damage and restoration range.